For 2018-19 the new personal allowance for an employee is £11,850. 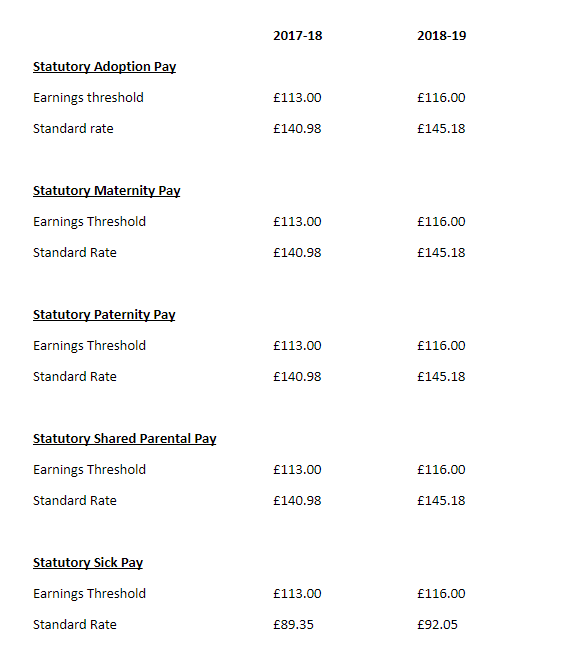 The 20% PAYE tax threshold is for annual earnings up to £34,500. The UK higher tax rate of 40% is on annual earnings from £34,501 to £150,000. The UK additional tax rate is 45% on annual earnings over £150,001. For the new tax year 2018-19, the Department for Work and Pensions have published the statutory payment rates for benefits and pensions. Click here to see the full list published.